NASHVILLE – June 15, 2015 – The Chapmans are back! Get ready for an all-new season of wild pursuits and action-packed captures with America’s most beloved bounty hunting family when an all-new season of DOG AND BETH: ON THE HUNT premieres Saturday, July 18 with two back-to back episodes at 9:00 and 10:00 p.m. ET/PT. Every week CMT will premiere back-to-back episodes. 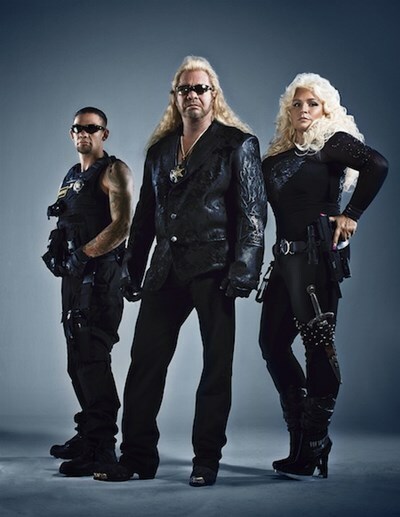 Armed with a passion for justice, Dog, Beth and Leland are back on the frontlines traveling across the U.S. zeroing in on the country’s most dangerous criminals. In true Chapman fashion, Dog and Beth welcome a new member to the team, their 22-year-old daughter Cecily, for an even bigger family affair. Beyond the chase, the Chapman’s are also parlaying their expertise to their fellow bondsmen on how to safely capture fugitives while introducing and training them on the latest in high-tech surveillance gear and ballistic equipment. This season, expect the unexpected when Dog, Beth and the gang travel to places like Hawaii, Texas and Alabama with more adrenaline-filled action and moments of redemption than ever.